The SLED 1 ULTRA XLR 3 is a matt black gooseneck light with 4 extra bright white COB LEDs and 3-pin male XLR plug that works on dedicated 12 volt to 48 volt DC. 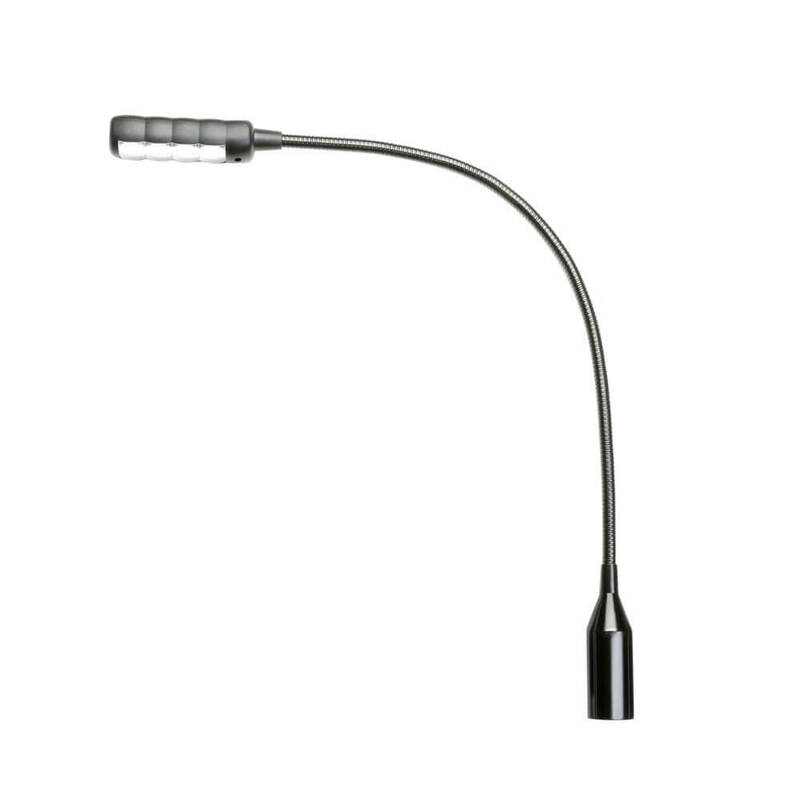 The 300 mm gooseneck is easily flexible yet stays put where you bend it, the power switch is conveniently located on top of the lamp. I don't normally giver five stars away but I was sorely tempted to do for this excellent gooseneck desklight. Remembe when these things were BnC, would swivel round at random and were fitted with a little torchlight bulb that kept going out? Things have come a long way: this thing is bright and... Read More. I don't normally giver five stars away but I was sorely tempted to do for this excellent gooseneck desklight. Remembe when these things were BnC, would swivel round at random and were fitted with a little torchlight bulb that kept going out? Things have come a long way: this thing is bright and crispy, connects solidly to the desk via a three pin LR and has a switch on it so you can turn the light off during the interval when you go for a pint.